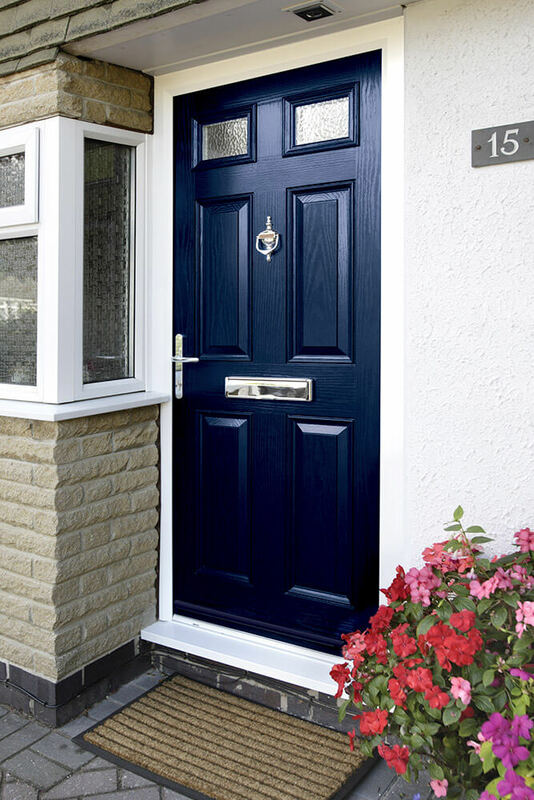 Composite doors are the ultimate choice for your home. Offering amazing efficiency, security and stunning aesthetics, they will definitely impress. 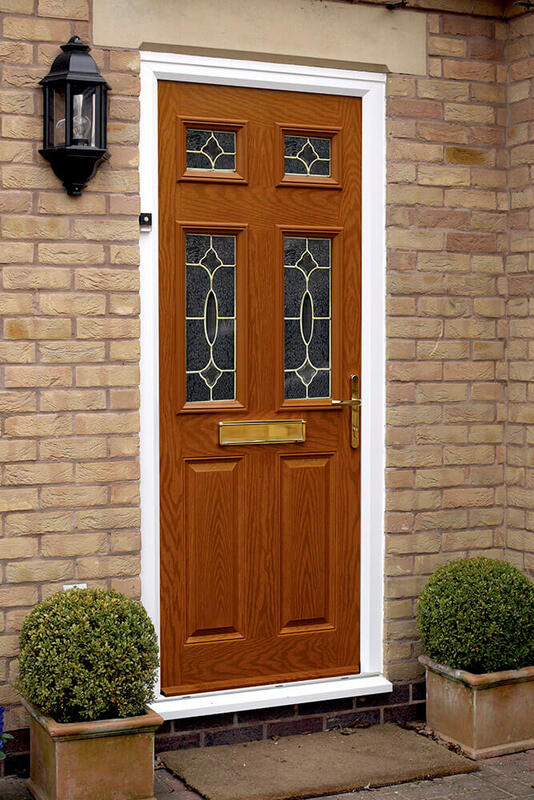 Made of uPVC but with the look of timber, you will certainly make an entrance with one of these. They are extremely low maintenance and will protect your home against the elements for years to come. 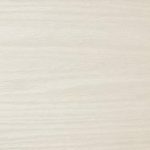 Made with an insulating core and timber frame between uPVC skins, they’re a revolution for your home. 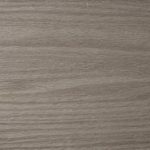 The impact resistant GRP skin gives it that wood-effect look that so many love. This can come in a range of colours that don’t require any repainting; they stay looking impressive for many years to come. The outer frame has a triple sealing system with an innovative Q-Lon flipper gasket to keep your home protected from wind, rain and snow. 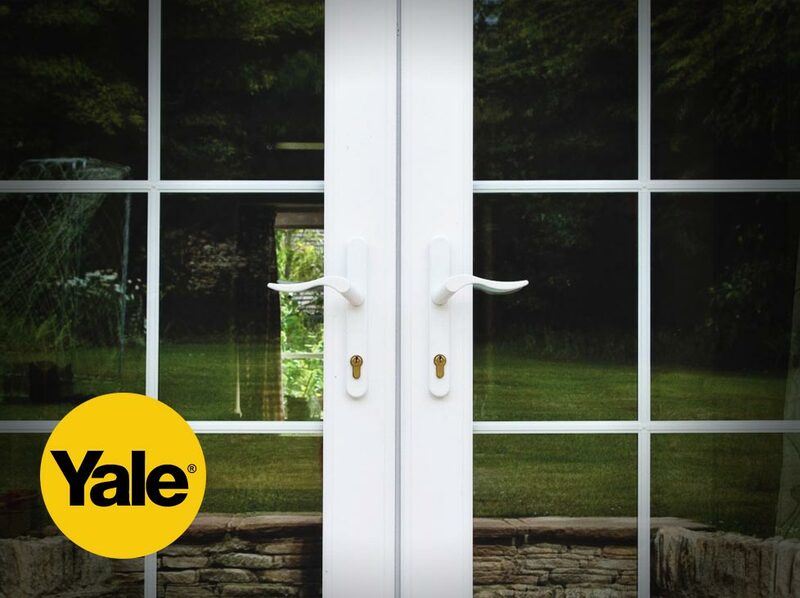 Secured by Design approved, these doors will keep your family and home safe. 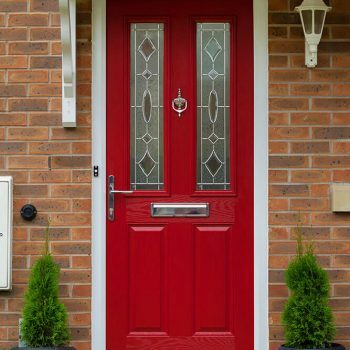 The look of a composite door is one of its main highlights. With a timber effect finish, it perfectly complements traditional homes but can also be made to look exceptionally modern. 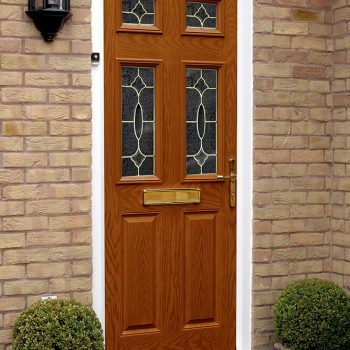 We offer a wide colour choice that includes Rosewood and Chartwell Green. 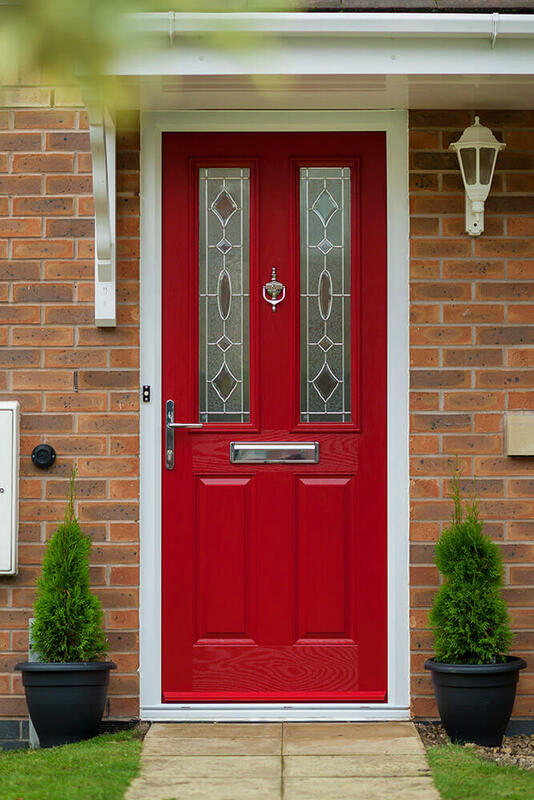 Get in touch to see our full range of colours. 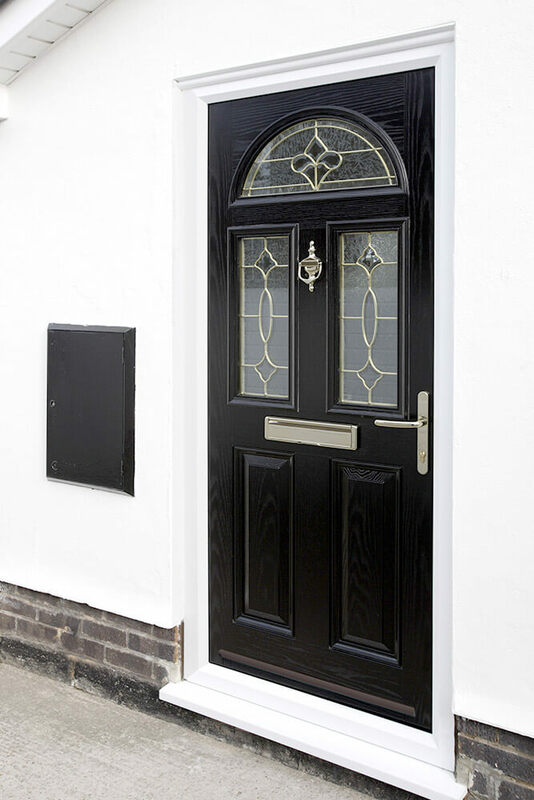 Our composite doors come with efficient Yale multi-point locks that surpass current security requirements. 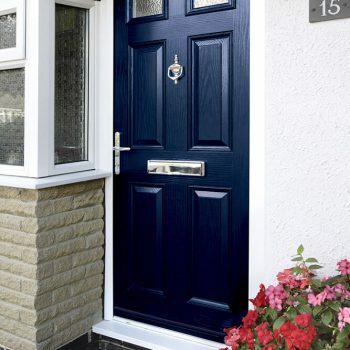 We also offer a range of handles, letterplates and knockers to add that perfecting touch to your door. 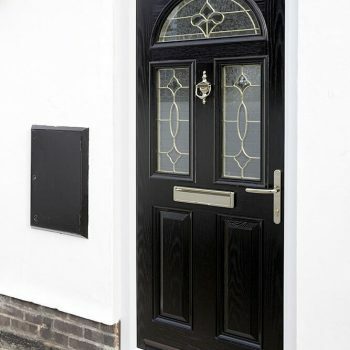 These are available in gold, chrome, black and white so you can personalise your door your way. 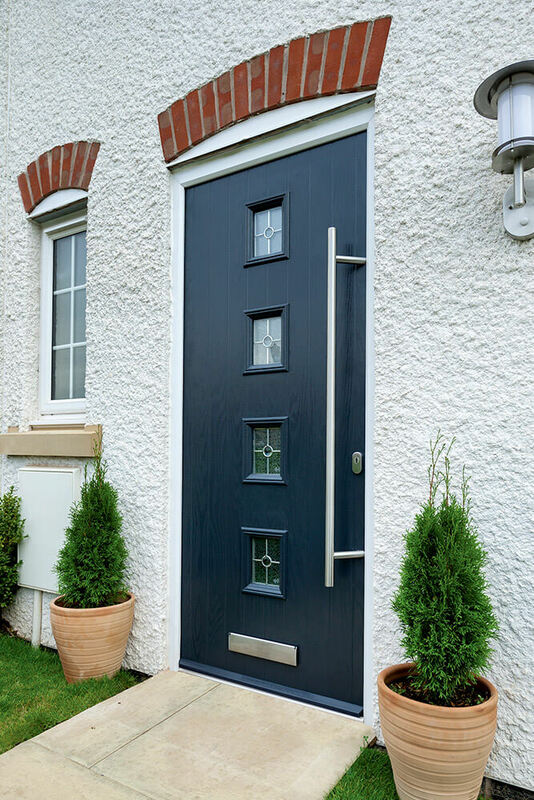 With their highly insulating core and high-quality glass, our composite doors will make draughts a thing of the past in your home. 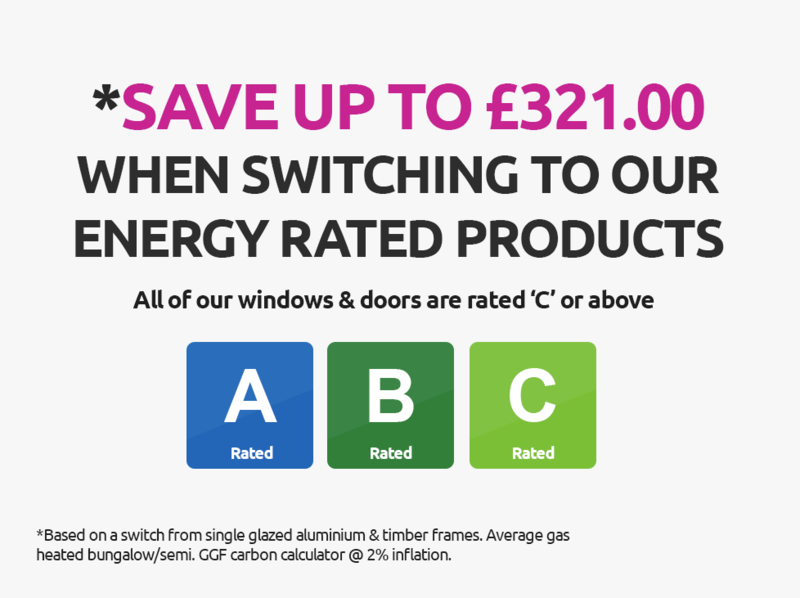 With a U-Value of 1.8 or less, your warmth won’t be lost through your door. 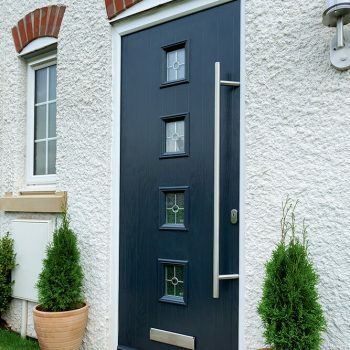 Their thermal insulation properties set composite doors apart from the rest with their multi-layered composition providing extra defence against the cold.